Personalised Mugs, Masks and More! Your Face on Wrapping Paper - Just what they wanted! Definitely one of our funniest products - our Personalised gift wrap with your face plastered all over it! It's a gift on in it's own right. Upload a photo of ANY person and we'll cut out the face and plaster it all over the paper - just to make sure the recipient can see who the present is from. Imagine their delight. Available in A1, A2 Sheets, or 1m, 2m, 3m and 5m rolls. This entry was posted in Product News on January 2, 2019 by Printster.co.uk Photo Gifts. If you're looking for some anniversary ideas, you've come to the right place, we have put some ideas together for you. This entry was posted in Occasions and tagged Anniversary Gift Ideas on April 12, 2017 by printster. Christmas Eve is possibly THE most exciting night of the year, and it can terribly difficult to wait for Santa to bring his sack of goodies. Whether you are very little or not quite so little anymore, we all spend far too much time having a squeeze of the pressies, trying to work out what they might be. Whether its socks, or the latest console, it’s painful waiting. So jazz up your evening with a Christmas Eve box! A Christmas Eve box consists of all the Christmassy things which are necessary for a snuggly night on the sofa with your loved ones to get you in the seasonal spirit. - A new snuggly set of pj’s are an absolute must, the softer the better. Team them up with some fluffy bed socks, or go all out and get yourself a onesie! 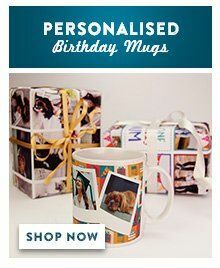 - Hot chocolate in your favourite personalised mug. Nothing can make you feel cozier than a hot chocolate when it’s snowy and cold outside. Cover it in marshmallows, and for you older ones, drop in a touch of Brandy to make it that extra bit special. Check out some recipes below! - A Christmas film. Whether it’s an old black and white classic, or features a grown man running around in an elf suit screaming 'SANTA', it’s completely obligatory to snuggle up with a Christmas film, as there is so many good ones to choose from! - Reindeer dust - make up sachets of glitter and oats to sprinkle over your garden, just so that Santa and his reindeer know where they need to make their stop. Don't forget to put out a few carrots too! - A Christmas story. 'Twas the night before Christmas' never gets old, and the bookshops are now crammed with fun stories to get your imagination running away to the North Pole. A lovely way to settle the little ones to a peaceful night’s sleep before all the excitement of Christmas really begins. Tell us about your Favourite Christmas Eve traditions on our Facebook page, we’d love to hear them. This entry was posted in Christmas and tagged Christmas Eve, Essentials on December 16, 2016 by printster. Create a gift that celebrates just how special your mum is with this collage mug. Personalise with 7 photographs as well as a message, for a sweet sentimental gift she is sure to love. Does your mum have green fingers?? Why not treat her to these luxurious gardening gloves so that she can be stylish and practical all at once. Choose from a range of 3 colour options, and personalise with a monogram of her initials for that extra special touch. There is nothing better than when your mum gets the flour out, so why not give her a reason to get her bake on this Christmas! Customise with her name and a special message that will bring a smile to her face with every cake she makes! For all the Dad’s who love to bang a drum, why not get him his very own set? Add a message or personalise with his name, and make him the envy of all his friends. How about this super suave brown leather wallet to show your dad just how much you care. Personalise with his initials and he will never have an excuse to lose it! Why have one beer when you can have 6? This personalised beer trug holds 6 large beers, so that he won’t have far to reach for the next one! Give him a poke in the right direction with this personalised message mug. Add your message to the back, the perfect place to remind him to do his washing! For all the girls who love to accessorise, why not treat her to this little gem? Personalise with her name, and make her day on Christmas. The perfect present to inspire your little girl to get messy in the garden. The set includes a fork, trowel and a pair of gloves, which can be personalised with her name. Show your Nan just how sweet she really is. Personalise with a special photo to create a perfect memento from your happiest moments. A vase perfect for filling your home with beauty and beautiful flowers, perfect for any nan who loves beautiful things. This can be personalised with any message to make it that extra bit special. For making his evening tipple a little more indulgent. Personalise the glass with initials and his name, and be sure he will be delighted come Christmas morning. A lovely way to celebrate your loving family. With the option for 4 generations of family, choose from a range of colours for a beautiful print that any family member will love. This entry was posted in Christmas and tagged Christmas Gift Guide, For All the Family on November 29, 2016 by printster. Although it’s the season of giving, it’s a wonderful feeling when you receive a well thought out gift. However now and again Santa doesn’t quite deliver the goods, and you’re left with gifts that will just clutter your cupboards. We’ve put together a list of all the rubbish Christmas gifts we have received over the years. 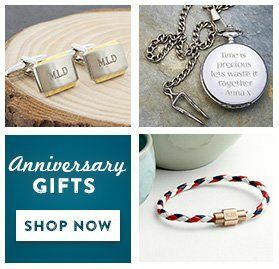 Go the extra mile this year and get your loved ones gifts that are especially made for them, why not try giving personalised gifts. This entry was posted in Christmas and tagged gifts, personalised gifts on November 18, 2016 by printster. What do you call a three-legged donkey? There are plenty of these jokes around, we’re not sure who writes them or even how they have become rooted into one of our Christmas Day traditions. But we have to admit that we love them, no matter how bad they are. This entry was posted in Christmas and tagged Christmas Craker Jokes, Christmas fun on November 14, 2016 by printster. Especially for Bonfire night, we have tried and tested some gorgeous Mug Cakes. We found that there are lots of amazing recipes you can try for a truly scrumptious cake in seconds! All you need is a microwave and a mug to get started! So, grab your ingredients and a mug and you’re all set. Whether you fancy something extra chocolatey or something a little bit indulgent, you're minutes away from a real treat! This entry was posted in Infographics on November 4, 2016 by printster. Can you give me a lift to…? Can you check the oil in my car? Dad there’s a leak from the shower/bath/kitchen sink… can you take a look? Dad what can I get Mum for your Birthday/Mother’s Day/ Christmas? What’s better a … or …? Can you help me put together this flat-pack furniture? What’s the best way to get to…? This entry was posted in Occasions and tagged Father's Day on June 16, 2016 by printster. Father’s Day – How to Make Your Dad Feel Special! Father’s day is all about making your Dad feel like a very special guy. So with this in mind here are a few ideas, to help you achieve the ultimate Father’s Day experience. It’s worth remembering that you don’t have to spend the earth to do this. Try your hand at making a homemade card – going to the effort of creating something that’s one of a kind. Tickets to an event that you know they’ll love, whether it’s a football game (don’t forget the pie at half time!) Or perhaps a comedy gig. Get a personalised gift – going the extra mile with a personalised gift. From Mugs to cufflinks the possibilities are endless. It could be that you ask your Dad what he'd love to do on Father’s Day – it might be that he’d love to just spend the day with you. Take him out for some nice nosh! And let him pick where he’d like to go, and make sure it’s on you! This entry was posted in Occasions and tagged Father's Day on June 8, 2016 by printster. In the spirit of Father's Day, we thought we'd take a look at the classic dad joke, and what makes it great. They’re a mixture of funny and not so funny. And they don’t often get a laugh they mostly get the slightly annoyed or embarrassed “Daaaaaaaaaaaaad” response. 1. What's the difference between a poorly dressed man on a tricycle and a well-dressed man on a bicycle? Attire. 2. What do you call a fish with no eyes? A fshhhh. 3. "I'll call you later." Don't call me later, call me Dad. 4. "Dad, I'm hungry." Hello, Hungry. I'm Dad. 5. To a pizza delivery person: "Hey, you wanna pizza me?!" They just keep getting better and better…. 6. A ham sandwich walks into a bar and orders a beer. Bartender says, ‘Sorry we don’t serve food here. 8. Two peanuts were walking down the street. One was a salted. 10. Two guys walk into a bar, the third one ducks. What are your favourite dad joke is? Let us know on our Facebook page! This entry was posted in Occasions and tagged Father's Day, Dad Jokes on June 3, 2016 by printster.